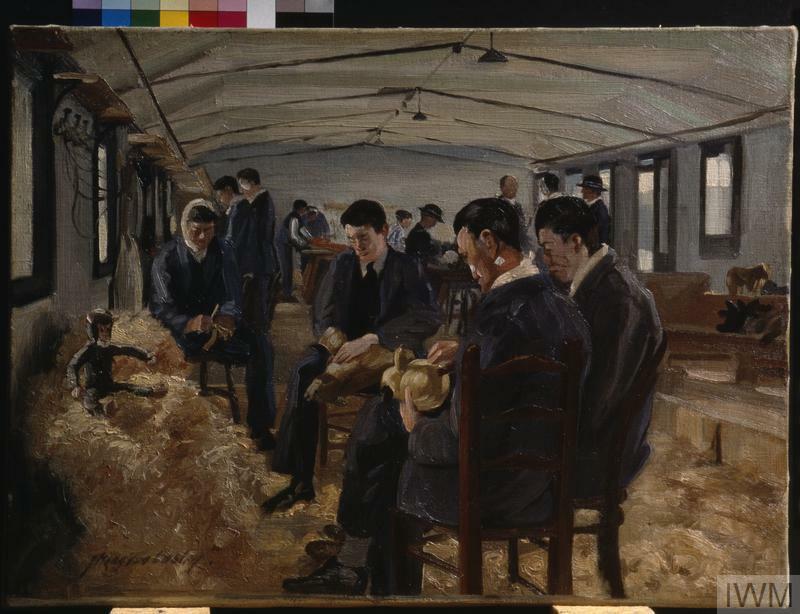 image: The interior of a workshop with convalescent soldiers employed in making toys. In the foreground a group of soldiers sit around a pile of sawdust, all working at stuffing a teddybear. Each of the men has a facial injury; two are missing an eye, and another has a bandage under his chin and over his head. Framed and glazed oil painting. 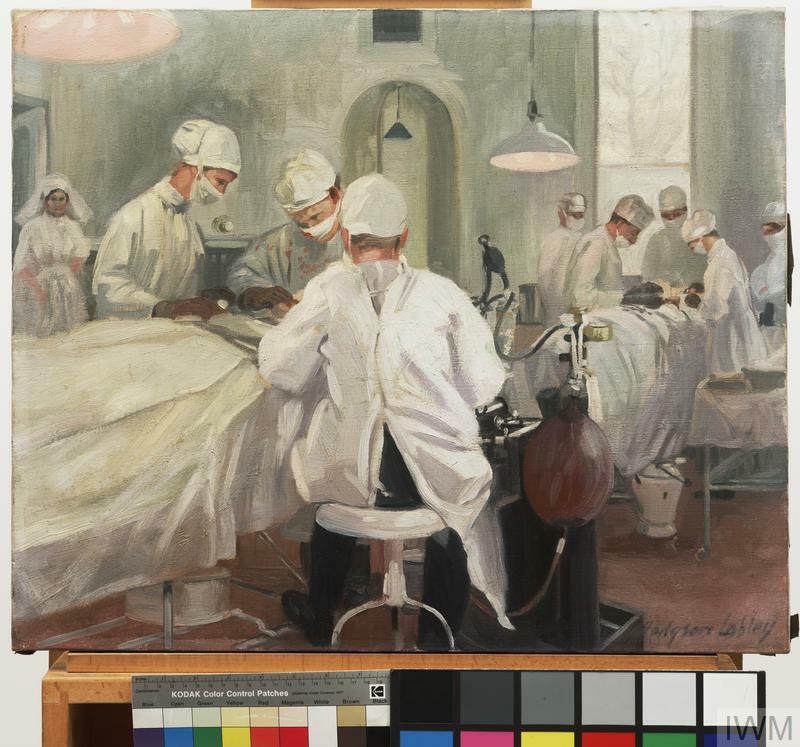 The Queen's Hospital, Sidcup, opened in 1917 in response to the flood of casualties from the Somme, was the the First World War's major centre for maxillo-facial and plastic surgery. 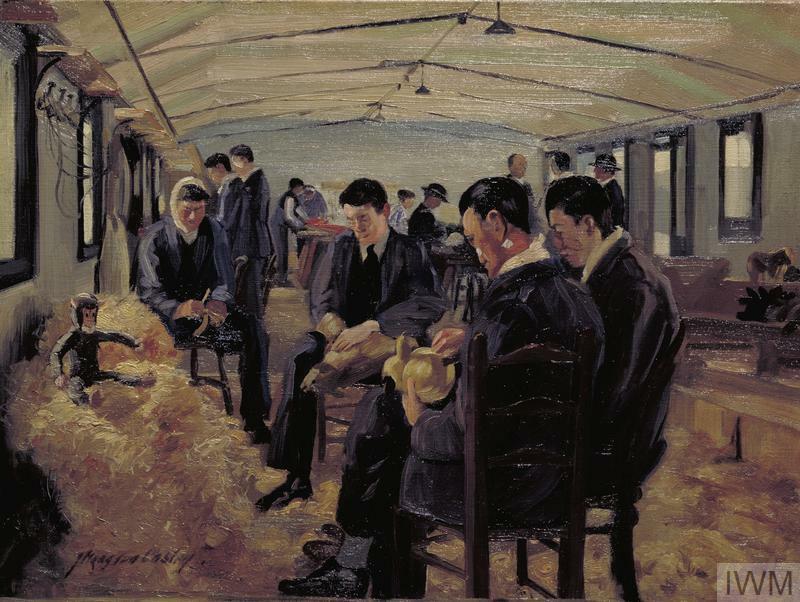 The hospital and its associated convalescent hospitals provided over 1000 beds and between 1917 and 1921 admitted in excess of 5000 patients. 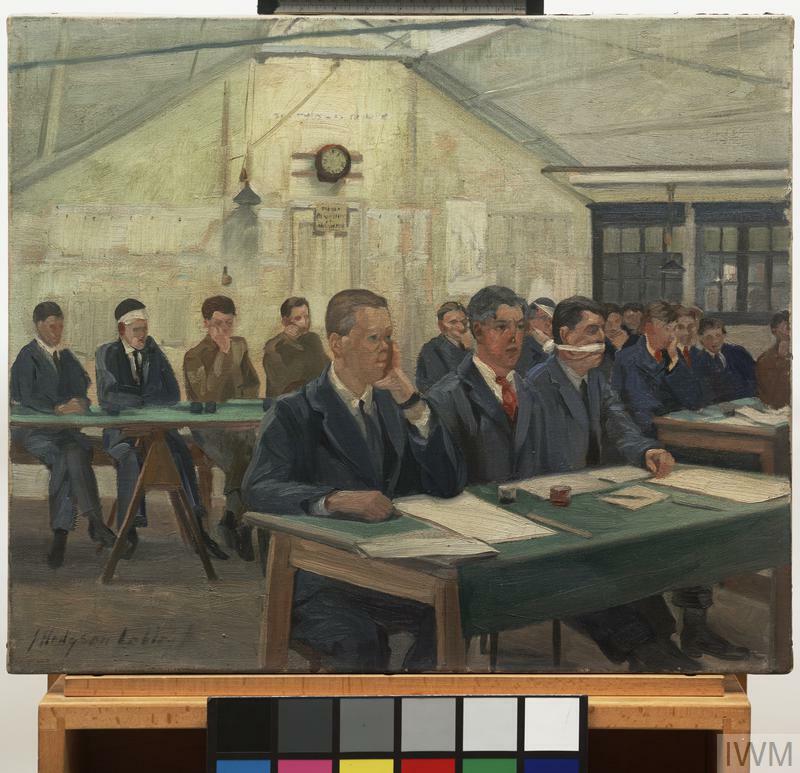 Occupational Therapy was an integral part of the rehabilitation treatment; men required things to do to fill the long days and weeks between operations, and were also trained for life outside. 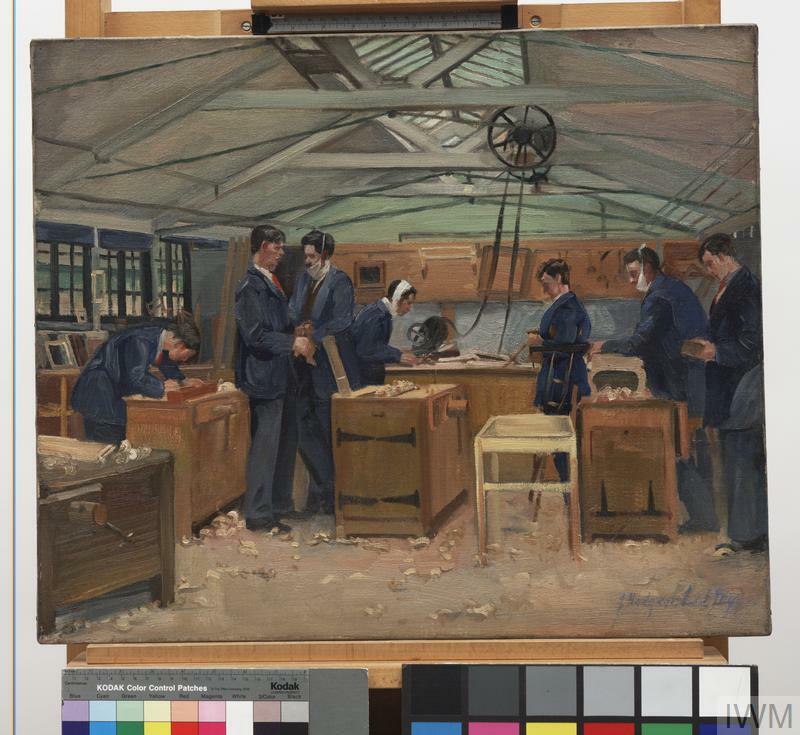 Toys made at Sidcup were advertised by the London "Evening Standard" and were judged to be of very fine quality. There is an uncomfortable relationship between the stuffed monkey and the men whose faces have been rendered expressionless by surgery or by masks.